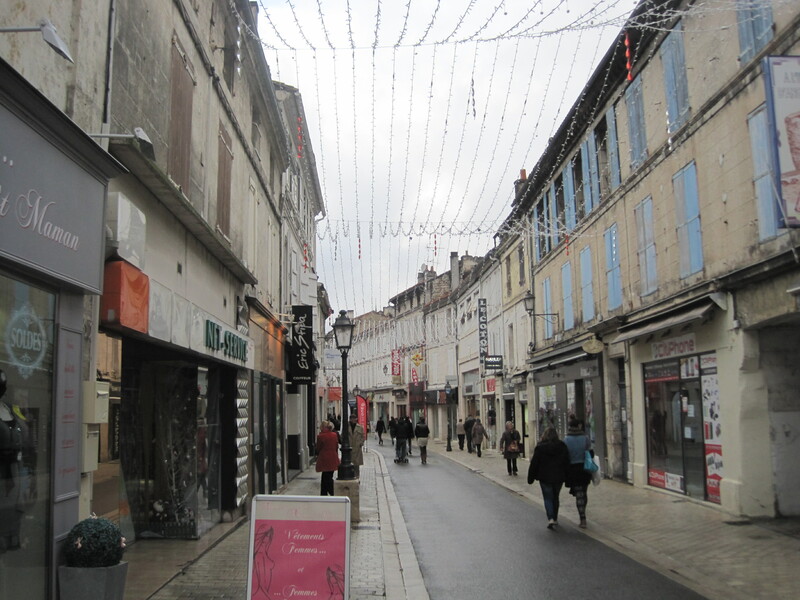 Just Landed: First Impressions of Angoulême | Comics Vacation! Wow. When I had conceived the Comics Vacation (Comics + Travel + Everything In Between) blog, this was exactly the kind of opportunity I had in mind; however, I wasn’t sure what this opportunity would look like at the time, or if I would actually manage to pull it off. In terms of thematic scope, this trip hits all of the key criteria. So what am I doing here exactly? How did this all come about? Here’s the story, in brief. I like comics. I like European comics, and I especially like French comics. After discovering les bande dessinées a number of years ago, I’ve been collecting and reading them, entertaining the notion of one day being fluent enough to translate them professionally. In my undergraduate studies I minored in French, optimistic that this background would one day serve a higher purpose. In my current course of study, publishing, I’ve been searching to collect a wealth of experiences to reflect my interests and skills, to differentiate myself as an aspiring comics publishing professional. My French skills are less than awesome, and conventional wisdom says immersion is absolutely necessary; I’ve always had it in mind that I would study in France. After a successful summer internship with Fantagraphics Books in Seattle, I began to research opportunities abroad. I wrote a cover letter and C.V. en français and sent it out to seven small and large publishers in Toulouse, Angoulême, Paris, and Brussels. Of those messages sent, I received five very polite rejection letters. A few weeks after I sent the last of the letters, I received an email from cartoonist Jessica Abel. Jessica is on extended residency at La Maison des Auteurs, a comics cultural institution in Angoulême, and had received my contact info from one of the very publishers to decline. After a couple of weeks of discussion of expectations and abilities, it was set. I would intern for her for three months, doing production and marketing on her forthcoming graphic novel Out on the Wire: Subtitle TBD (Crown Publishing Group, August 2015), and to a lesser extent, Trish Trash: Rollergirl sur Mars (Dargaud, January 2015), her first original French language album to be released at the upcoming 42nd annual Festival International de Bande Dessinée (FIBD). A short and beautiful stroll. 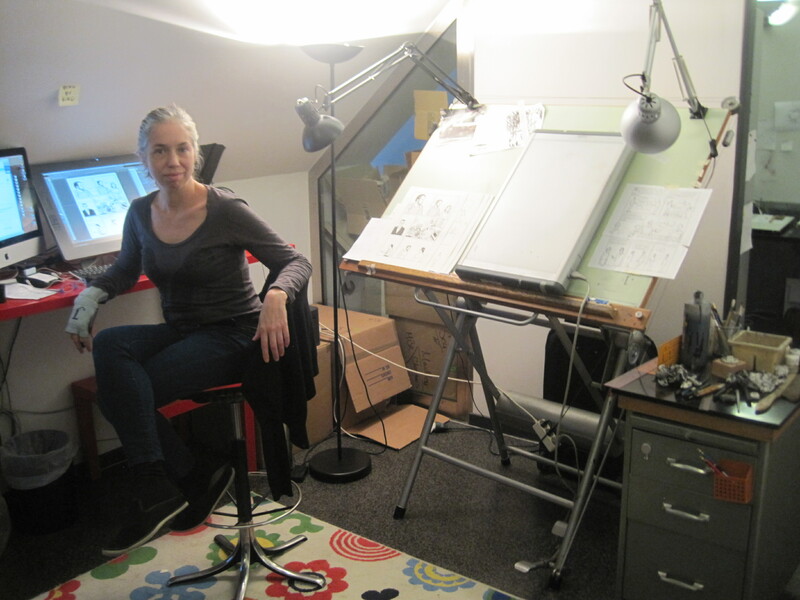 The artist and her studio. 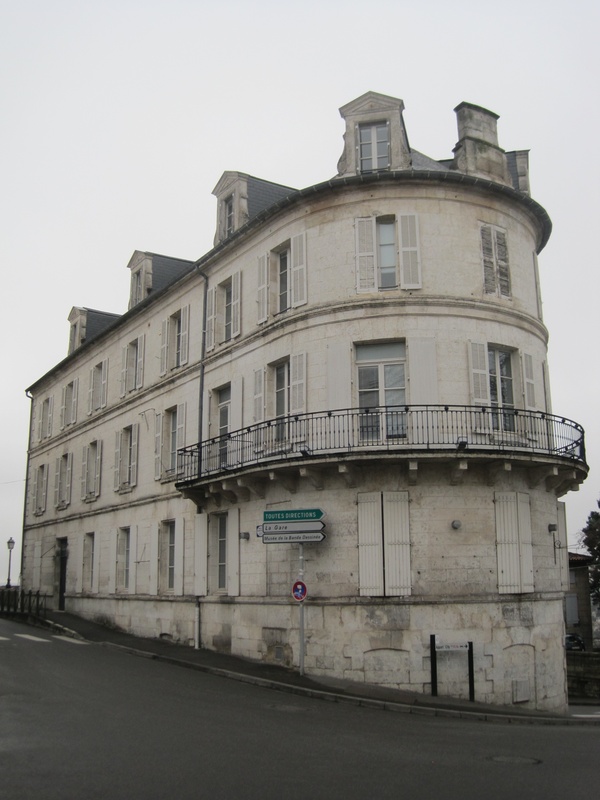 After two months of planning and twenty-seven hours of travel, I was in my new home in Angoulême on Tuesday, January 6th. The next day I went in to La Maison des Auteurs for a short orientation. The facility, a short and beautiful walk through Angoulême’s centre-ville, is classy, modern, and industrious—clearly a place to get work done. I said hello to Matt Madden, Jessica’s husband, fellow resident, and co-author of the Drawing Words and Writing Pictures and Mastering Comics (First Second) series of how-to textbooks, as well as his celebrated 99 Ways to Tell a Story: Exercises in Style and many others. I took my short and beautiful stroll home through the old-world feel of Angoulême, into the maison-charantais-style house I now call home. Little did I know that during my brief few hours out, everything had changed. The next day the studio was eerie calm. I began work on Out on the Wire, and naturally, that was great. I ate lunch with Jessica and Matt, and after work, Jessica gave me a brief walking tour before treating me to dinner. But excited as I was, the air was still heavy, and it was odd to feel excitement at such a somber time. And today, without really knowing why, I marched with an estimated 20,000 people in a marche citoyenne. As the sun sets on my first week here, it has already been an experience that I will never forget.